Nogizaka46's hilarious stage play, their adaptation of the comedy manga series Joshiraku! A performance that follows five rakugo performers and their interesting everyday episodes! Stay tuned for the second part! Lo sentimos, pero la versión en español está en espera por el momento. Solo tenemos suficientes traductores de español para trabajar en un proyecto grande a la vez, y por el momento, nuestra prioridad es traducir la novena temporada de Nogibingo. but since theres sub to this one. i'll try to watch my first stageplay from nogi. I have watch the anime but never seen the manga. 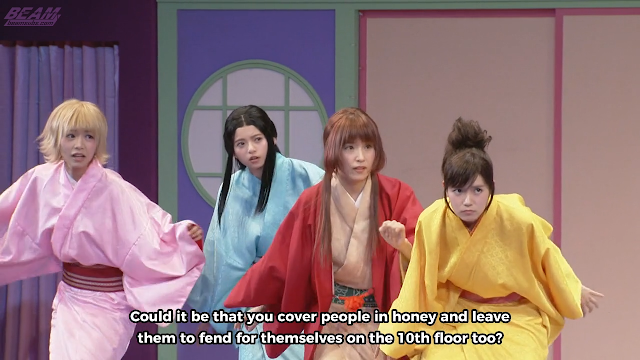 From what I see live action version sure lack the visual from anime that can bombard you with many perspective. The translator who took on this project is currently busy. If we get the chance and time in the future, we will definitely work on it since it's something we planned to do from the beginning. Sorry guys, the project is currently on hold. The translator in charge of this project is currently unavailable. Please understand that all the projects we do are completely voluntary work.